Modeled after the highly successful Hawaii Healthy Start program and part of a National Network of Healthy Families America (HFA) sites, this intensive home visiting and family support program has been in operation since 1992. Serving families countywide with 10 home visiting teams, the program focuses on educating and supporting families to be the best parents they can be. The program are the instructions that didn’t come with your baby that everyone could benefit from. We work with families from pregnancy until the child is linked to the school system (up to age 5). Home visitors will help you identify and reach your individual and family life goals. The program offers enhanced services provided by specialty staff including nurses, mental health counselors, father services specialists, and resource specialists as part of the team. Fathers are encouraged to participate too! The program uses the “Growing Great Kids” curriculum which is an interactive fun way to provide activities for the parents with their child(ren). 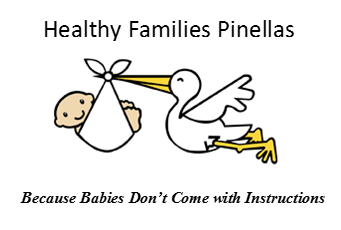 Pinellas is one of the largest sites in the nation, serving over 12,000 families per year. The Florida legislature passed a State Initiative in 1998 that enabled the program to expand statewide and this effort is known as Healthy Families Florida. Funding from the Florida Department of Health, Juvenile Welfare Board of Pinellas County, and Healthy Families Florida support the program countywide. Collaborative partners include Bayfront Health, Morton Plant Mease Hospital, and Suncoast Center.